Prosecutor General of Ukraine Yuriy Lutsenko says former chairman of Ukraine’s State Agency for Investment and National Project Vladyslav Kaskiv didn’t come to Ukraine of his own accord, but solely agreed to a simplified procedure of extradition. The prosecution also finds court’s decision to set a bail for Kaskiv at $6.000 inappropriate. “The Prosecutor’s General Office of Ukraine doesn’t agree with the bail, and even more so, with its size. We asked the court to arrest Mr. Kaskiv as an individual suspected of an especially grave crime, particularly of embezzling state money in especially large amounts. 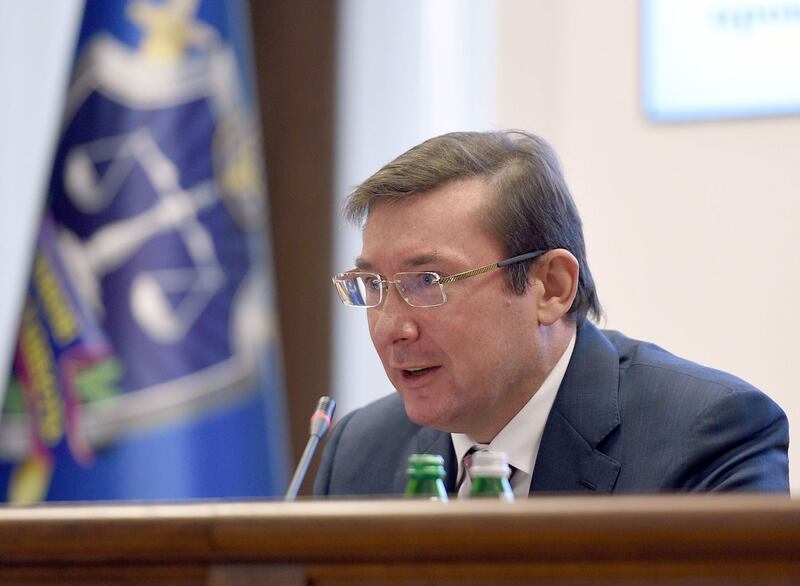 The case is even more serious, as the person is prone to running away and hiding outside of Ukraine,” Lutsenko emphasized. Apart from that, the Prosecutor General of Ukraine informed that Kaskiv refused to cooperate with the investigation and name his accomplices, which means he alone will be responsible for all the charges brought against him unless he changes his mind on the matter. Earlier we reported that Vladyslav Kaskiv, the former chairman of Ukraine’s State Agency for Investment and National Projects, has been extradited to Ukraine from Panama. Kaskiv was detained in Panama on August 18. He was stopped at the border with Costa Rica as he was banned from entering the country on August 17, 2016. The former official is accused of embezzling property by abusing his authority through conspiracy with a group of people, which resulted in grave consequences. He is also suspected of document forgery.